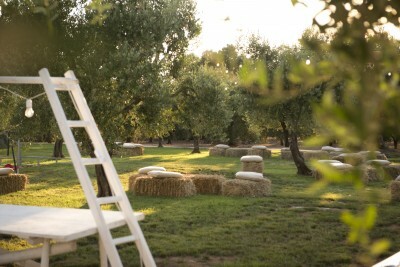 A destination wedding in the Masseria Don Luigi is a jump in the Mediterranean nature with its typical white buildings made of limestone. It finds its roots in the 1800’s when the Masseria was a wide area of land for agricultural use with dwellings for the landlords, farmers, along with stables for horses and storage for crops. 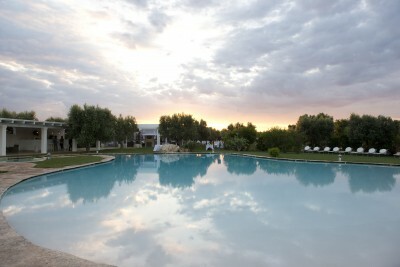 Nowadays the Masseria Don Luigi, managed by the Pepe Family, maintains its vastness, its linear and squared architecture. The interiors stand out with minimalistic design and original touches. The local artisan furniture, the tiled floors,the numerous patios, the warm sunny shades of the interiors and the white limestone externals all highlight the authenticity and peculiarity of the Masseria. 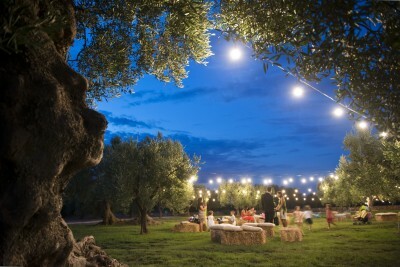 Looking out you get lost in the beauty of colours and smells of the large olive groves. 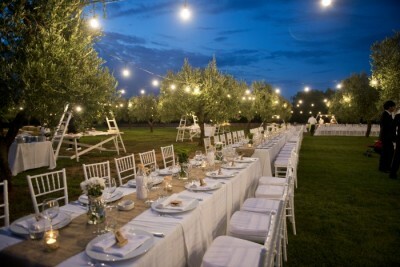 The Masseria Don Luigi is a perfect location for an elegant country wedding, offering wide spaces for an outdoor reception, and 11 rooms for the couple and their guests. The meals are a true regional food experience, with typical products sourced from the immediate local area. A wedding reception here is a restorative city break for everyone, and not far from the premises you can explore the beaches of Savelletri on the Adriatic Coast less than 2 miles away, play golf or go horse-riding on the Fasanese hill. Any visitor to this beautiful region of Apulia should not miss Alberobello, a UNESCO World Herit site since 1996: a a wonderful village characterised by traditional Apulian dry-stone huts with a conical roofs (called “trulli”). And there are other magic places also considered amongst the most beautiful villages in Italy, such as Ceglie Messapica, Cisternino, Locorotondo, Martina Franca, Ostuni, Monopoli, and Polignano. 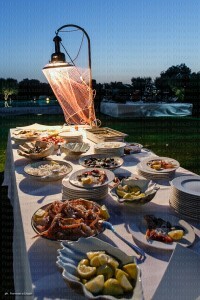 The nearest airports to the Masseria Don Luigi are Brindisi or Bari.